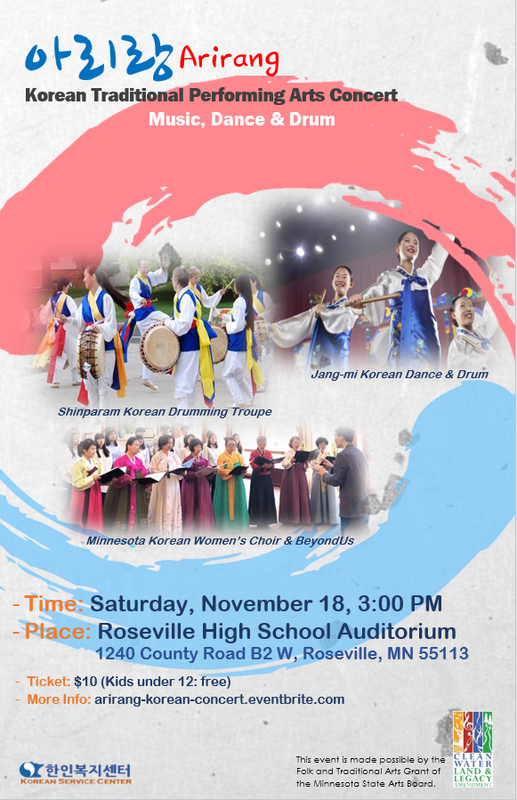 St. Paul, Minn. (Nov. 8, 2017) — Three Twin Cities area Korean traditional musical groups will collaborate on “Arirang: a Korean Traditional Performing Arts Concert of Music Dance and Drum,” a concert performance at 3 p.m. Saturday, Nov. 18, at the Roseville Area High School, 1240 County Road B2 West, Roseville. The three groups are Jang-mi Korean Dance and Drum, Minnesota Korean Women’s Choir (with their related young adult vocal group, Beyond Us), and Shinparam Korean Drumming Troupe. 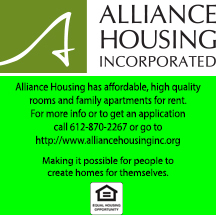 The group work to introduce traditional musical forms to the community with each group reaching out to different demographics of the Korean American community in the Twin Cities. Tickets are available at the Korean Service Center, St. Paul office (2417 Larpenteur Ave. W., St. Paul, 55113, phone 651-649-0009) and at the following ticket website: arirang-korean-concert.eventbrite.com.